Last Saturday two people were drowned on the Canarian coasts. 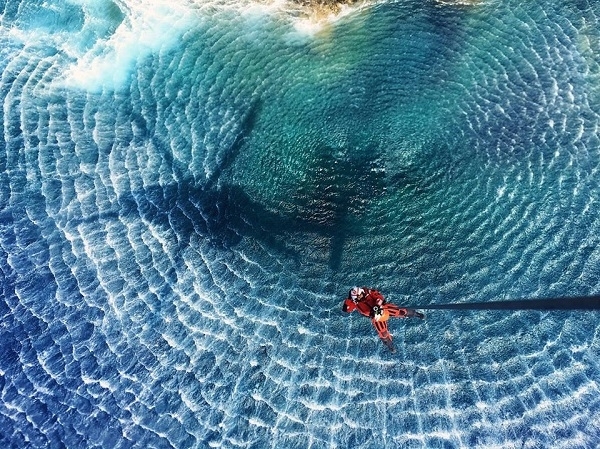 In the first case, a man and two minors in distress were rescued at Playa de La Lajita in the south of Gran Canaria. They were brought to the shore by private individuals on waterbikes. The 60-year-old had suffered a head injury and cardiac arrest. The resuscitation measures were unsuccessful. In Fuerteventura, at the Faro de la Entellada, an emergency call was received reporting a 25-year-old man who had gone underwater fishing and failed to return. Two people discovered the missing man and started resuscitation until the emergency helicopter arrived. He was hoisted aboard, where the emergency doctor continued to fight in vain for the young man's life. Produced with news.CMS in 0,0670 seconds.